The iconic Nike Blazer will receive a resplendent makeover this Saturday, albeit for the ladies only. Having seen this shimmering color/material choice on a pair of Air Trainer 1 Mids earlier in the year to commemorate the Super Bowl, Nike Sportswear applies an iridescent upper to its timeless basketball silhouette. Additional details include metallic laces, a white midsole and an icy blue outsole. 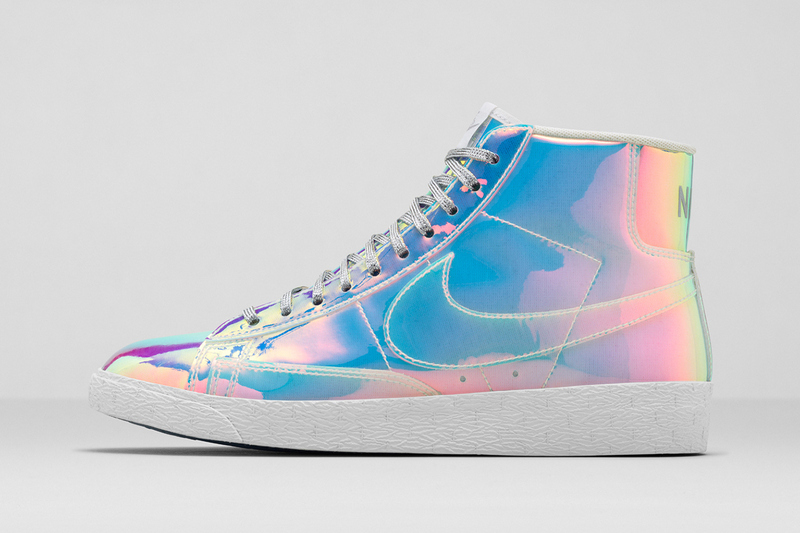 The Nike WMNS Blazer Mid “Iridescent” will be available online and at select retailers beginning August 16. UPDATE: I called Nike on the morning of August 16th. They informed me he release date has been pushed back. Sit tight for new release date. 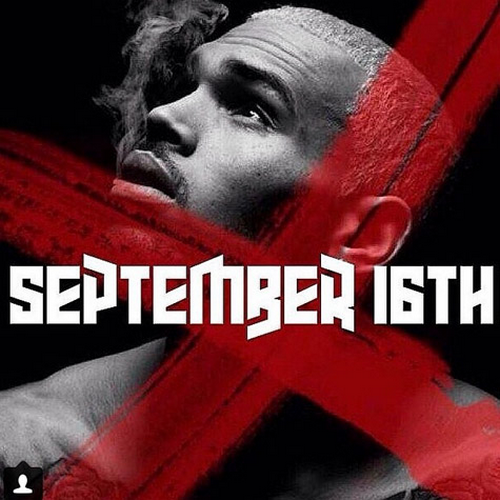 Looks like Chris Brown is gearing up to FINALLY release his highly anticipated sixth album ‘X’. Breezy posted this artwork on his IG. Not sure if this is the official album cover, but I know team breezy can't wait to get their hands on his new album, set to drop on September 16th. I just love little North "Nori" West ! I think its the cheeks. Her mother Kim K shared the sweet picture today via Instagram. 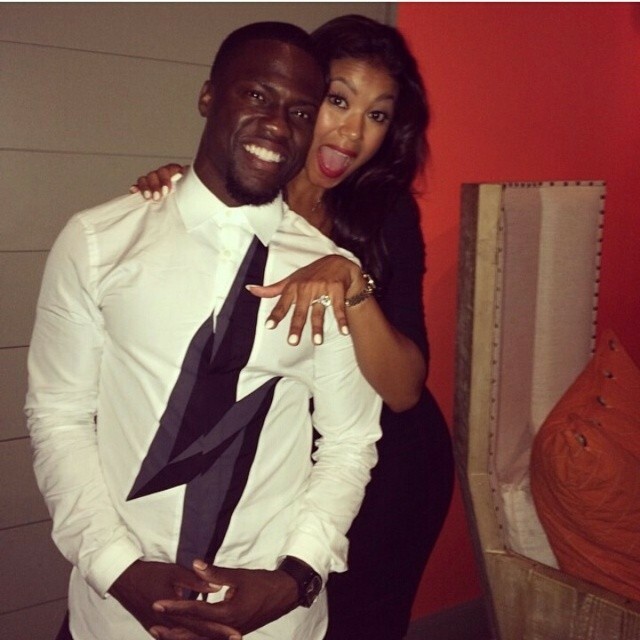 She hashtagged the picture: #BringYourDaughterToWorkDay,”. 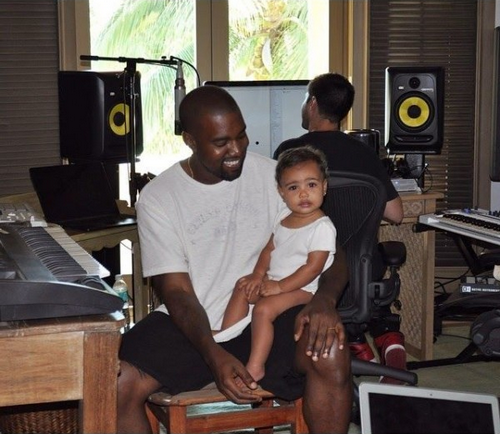 Nori totally looks like a daddy's girl! 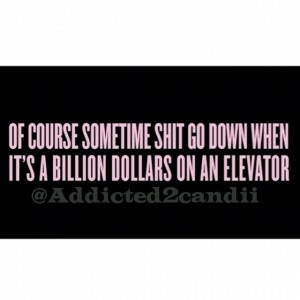 I love when Beyonce' get's her FLY on!! Since the birth Blue Ivy her fits have been simple. Bcos you all know Beyonce GLAM was always at a 10 before becoming a mother. So I love when she turn's it up on us and let's us know she still got it. Which I never doubted by the way. She shared a picture on her Instagram sporting a pencil skirt, crop top, an over sized clutch, 50/60's inspired shape frames and buzzin QUEEN BEE heels by uk shoe designer Sophia Webster. I love the whole look. The shoes aren't customized however very appropriate being that QUEEN BEY is one of her many names. Did someone say QUEEN BEE? 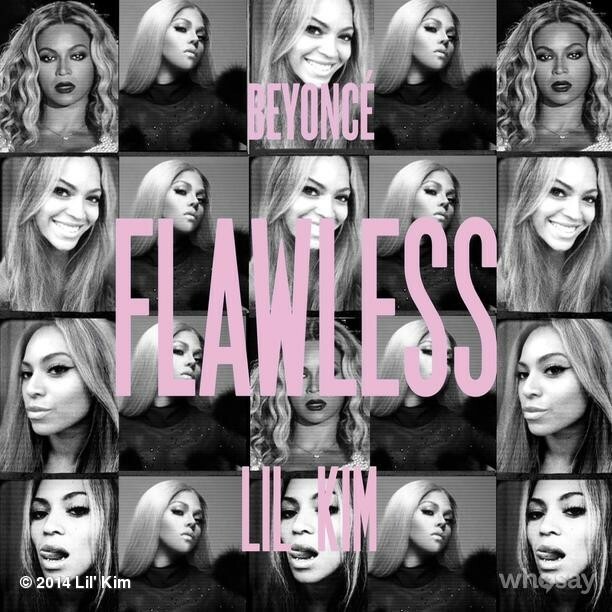 Lil kim said she wants IN on this Flawless remix!! Now you all know Kim was going to respond to Nicki Minaj especially since she said she's the Queen of Rap. My females are doing their THING and I love it. Kim verse is actually cool. Almost sounds like the old QB. Remy's home, new female artists making noise in the game. Hip-Hop is a competitive game, keep it friendly ladies and be sure to BRING IT!! Nyemiah Supreme links up with KCamp for her latest track "No Questions". Nyemiah is an up and coming artist hailing from Queens NY. She's also apart of the 'Sisterhood Of Hip-Hop' cast, a docu-series which will air on Oxygen and will premiere August 12th at 9 pm. So I suggest you get familiar now!! I'm feeling the track!! Go O F F Nyemiah! Press play and share your thoughts. I tell you that Nicki Minaj sure know's how to get the crowd GOING baby!! She posted a IG video snippet for her highly anticipated single "Anaconda" which is available on iTunes now: (Explicit) & (Clean). I'm not realy feeling the track from the first listen. Maybe the visual will help out. 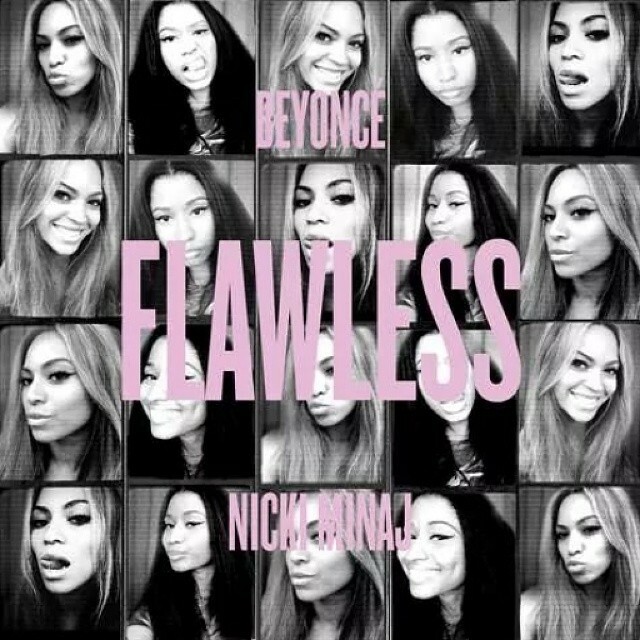 I love the Flawless remix so she's still high up in my book. But due remember Onika warned us at the BET Awards that she is D O I N G HER!! lol.. Produced by Da Internz & Polow Da Don. 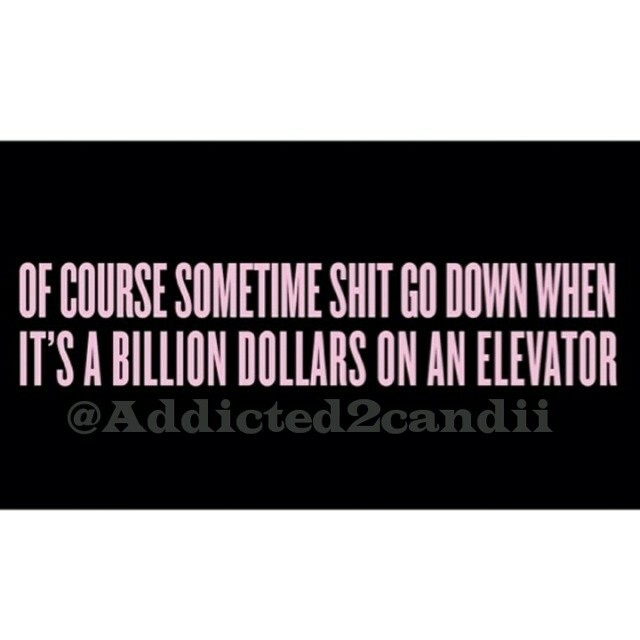 The Carters definitely know how to touch on a subject( Solange attacking Jayz in the elevator) and keep it M O V I N G!! At first listen I wasn't too impressed with Nicki's verse but after a second listen, Onika delivered! !